The turntable was a common, but very important, device that could be found in most terminals, large and small, during the steam era. During this time steam locomotives were operated most efficiently in the forward direction and thus had to be turned every time if, for instance, they were to make a return trip (or for a myriad of other reasons). In many cases a turntable was more practical to build than a wye, which took up much more ground. In any event, with the advent of the diesel locomotive the device fell out of favor as the new technology could be operated in either direction without necessarily needing to be turned. Today, turntables are rarely used by freight railroads. 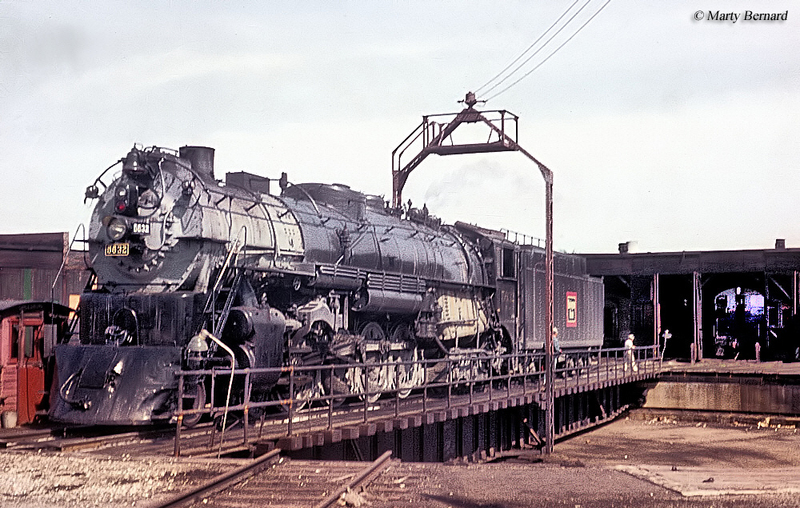 However, they have not completely disappeared as several have found a second life turning the many restored steam locomotives still in service on railroad museums and tourist railroads. In nearly all terminals in which railroads constructed a turntable the structure was located next to or near a roundhouse, a semicircular building that was used to store steam locomotives and perform light maintenance on railroad equipment. The first roundhouse was constructed in Derby, England during 1839 by four different railroads. In the United States the roundhouse first appeared soon after during the 1840s. The idea of a turntable device to easily spin locomotives in the other direction followed, which not only offered a relatively simple way to turn equipment but also was conveniently located within the terminal and next to the roundhouse where the steamers were serviced (interestingly, turntables did not gain widespread favor in Europe during the steam era as many locomotives were designed to operate in either direction). All early designs were known as "Armstrong" turntables due to the fact that they required a worker manually pushing the device in one direction or the other. Whether operated with brute force or mechanically the turntable was always a relatively simple, although very important, piece of equipment. A large, circular five to ten foot pit was dug out in which a standard steel span was placed (not unlike a bridge beam span). Around the edges of the pit a rail was placed and the support span usually had wheels attached to it at either end in which to track along it. Also, at the center of the pit the span was placed on some type of central anchor hinge. Finally, in later years as the structure became somewhat more sophisticated a small operators shack could be found on one end where a worker would be located to operate the device. Not surprisingly, early turntables were very small, sometimes just six feet in circumference since nothing larger was needed with the relatively small locomotives and cars in use during much of the 19th century. 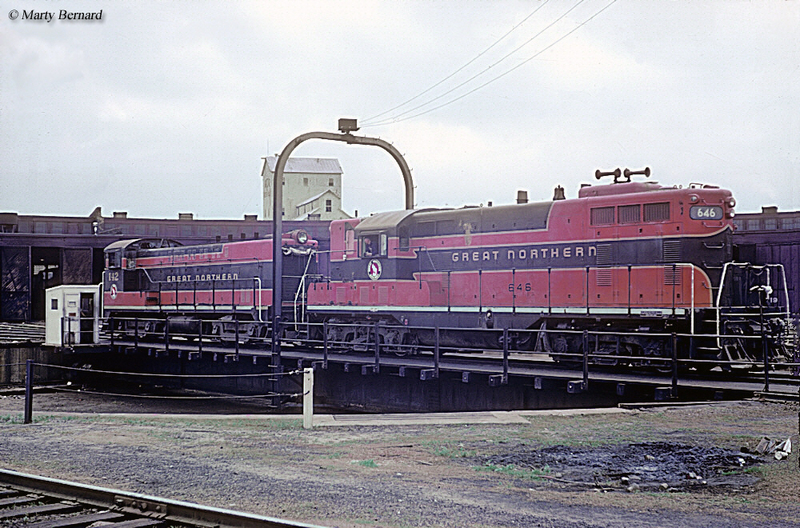 However, this changed as equipment grew larger, heavier, and longer thanks to new technologies like the air-brake, more advanced steam locomotives, and a greater demand for rail service. 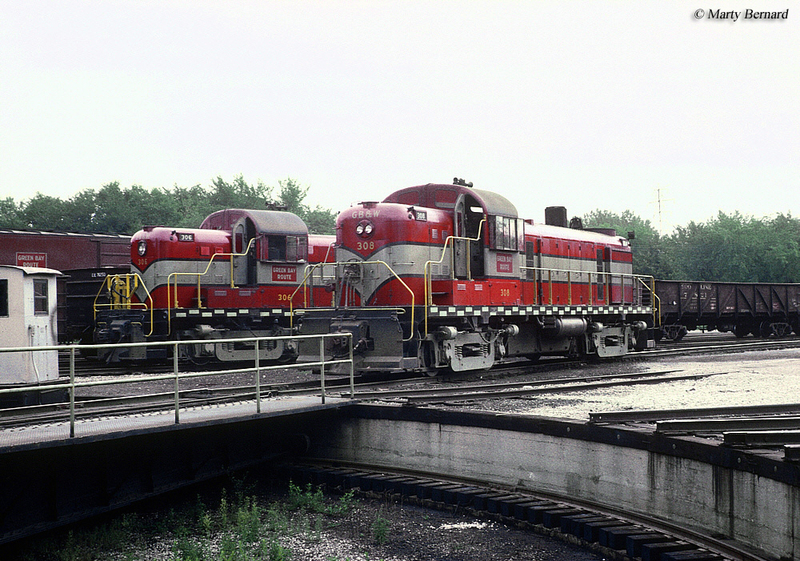 During the 20th century most roundhouse terminals featured turntables of at least 70 feet with some as large as 120 feet or more in circumference. According to the magazine Trains, most Class I railroads of the era found that turntables of between 80 and 100 feet often suited their needs. Additionally, with these larger tables manual "Armstrong" designs fell out of favor. Powered tables usually featured either compressed air or pneumatics/hydraulics to turn them. Since turntables are no longer needed within today's industry you might not realize just how vital these devices once used to be. For instance, the above mentioned periodical, Trains, did a short piece from its January, 1945 issue which described how Baltimore & Ohio forces rebuilt its turntable in Chillicothe, Ohio where once a small terminal was located along its St. Louis main line. The railroad wished to make the table deeper and wider to support larger and heavier steam locomotives (although interestingly, by that time, steam was in steep decline as main line power on most lines). 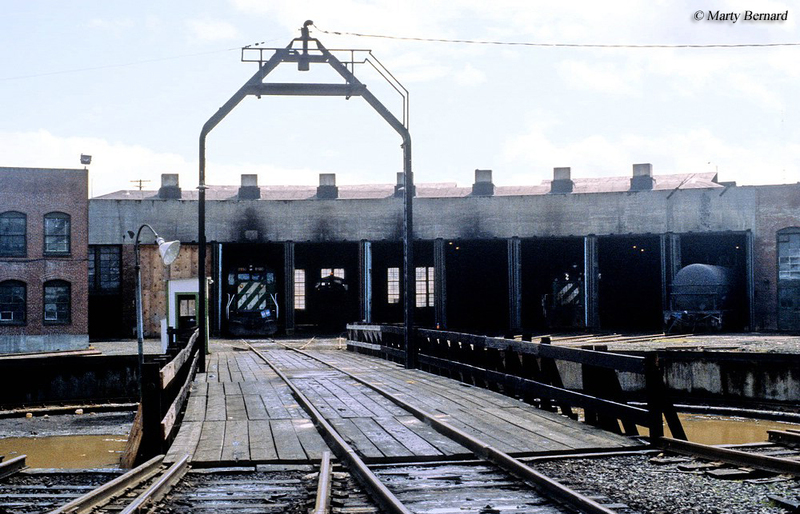 To make sure that the work did not severely interfere with passenger and freight train schedules it was timed down to the minute and all of the locomotives operating out of the terminal were moved outside the roundhouse to nearby ready tracks. The actual project began at 7 a.m. and is said to have been completed in just 10 hours! The purpose of the devices, however, was mostly made obsolete by the diesel. This new type of locomotive could be operated just as efficiently bidirectionally, which eliminated the need for turning them as often as steamers. When they did need to be turned a common wye (literally, a "Y"-shaped track setup) would suffice. Without the need for a turntable railroads also did not require the accompanying roundhouse, although many remained in use for decades as maintenance facilities. Today, turntables still have found a way to hang on as a need to turn steam locomotives, and some diesels, on excursion railroads and museums. They not only offer a practical way to turn the units without the need for a wye but also give a chance to allow the public to see how these interesting devices worked when they were regularly in use.